Today is the anniversary of the “First Mail Delivery Day” delivered via Pony Express in 1860 when a westbound rider arrived in Sacramento, CA from St. Joseph, MO. It took approximately 10 days of hard riding for the mail to be delivered by a band of men, a stable full of horses with many stops along the way for the 1900 mile ride. And now here we are 154 years later with the US Post Office in dire financial stress, with hints of discontinuing Saturday deliveries and to be honest most times my mailbox is cluttered with unwanted “junk” material. The art of handwritten letters is too almost gone. Very few cards or letters ever grace my mailbox, but when they do, it is always a delight. Thank you notes have now become a quick text or email for many. Granted technology has made great strides in communications, but sometimes I miss those “bread and butter” letters where you could sit and read about the latest news from a family member or an old college friend. Last night I spent a delightful evening with my good friend, Marti where we attended a night with Ben Vereen. You remember Ben Vereen don’t you?, a great song and dance man, but definitely from an earlier era. As he told stories and tidbits from his past, he relayed one where he referred to receiving a telegram. The audience giggled, and then in the same story he mentioned record albums, record players and cassettes. Words that are not even in our vocabulary today, and most young people have never heard of “telegrams”. Their telegram is simply a “text” via their phones. Now don’t get me wrong, I am all for moving forward and new technology (altho I have to admit it moves too fast for me at times), but sometimes a simple card or even a telephone call seems to add a more personal touch. Can you imagine waiting 10 days via pony express to hear of a birth or a death, no I can’t. So hurrah for the strides we have made in instant notifications, but my hats off to those pony express riders who braved tough trails to bring those much wanted letters from loved ones. And by the way ....none of the images have anything to do with the story, just some I had not posted from my Charleston trip. Hope the week a head is indeed a fulfilled one. A grace filled Holy Week to my Christian friends and a blessed Passover Week to my Jewish friends. Deanna, I have not been reading regularly but I am so glad I sat down this afternoon to look at a few blogs... this was such a good post... and I loved Ben Vereen... he was in the original Pippin, a play and music I loved very much growing up. Thanks for making my Sunday! I so agree with you about the handwritten letters, Deanna. I am guilty for sure, of the email and text messages, but I still (and always will) send cards for birthdays, etc., and thank you notes. I still love checking the mail - even if it's a bill or junk. SO cool to learn about the Pony Express anniversary! Wow - Deanna, you started of with a big bang - that iris laden with water droplets is so beautiful. You've got to admire the tenacity of our pioneers haven't you? We are so 'soft' when compared to their hardships. We have not had Saturday deliveries here in Australia since, I would say about 1976 or thereabouts. At those times I longed for a letter in the mailbox ...I had several pen-pals, but I do moreso enjoy corresponding via email because of it's instant-nature. That when I think of someone, they know it quickly, not ten days later. (oh and I see you say much the same towards the end of your post too....) Take care. The iris photo is jaw-dropping gorgeous! Well I just read the last two posts...and girl...nothing has happened to your MOJO...you will always have it...might be buried for a short time....but God will never let it go dry. Blessings to you...nice to be able to come back . 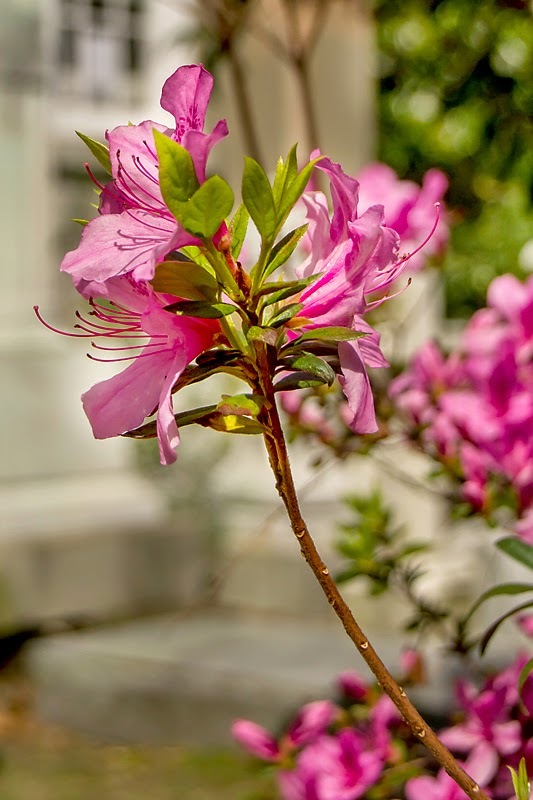 Love your flower photographs. Thanks for the Passover wishes and wishing you a bright and blessed week. I haven't given up on cards and letters yet . . . I love receiving them and receive just as much pleasure in the giving and sending. 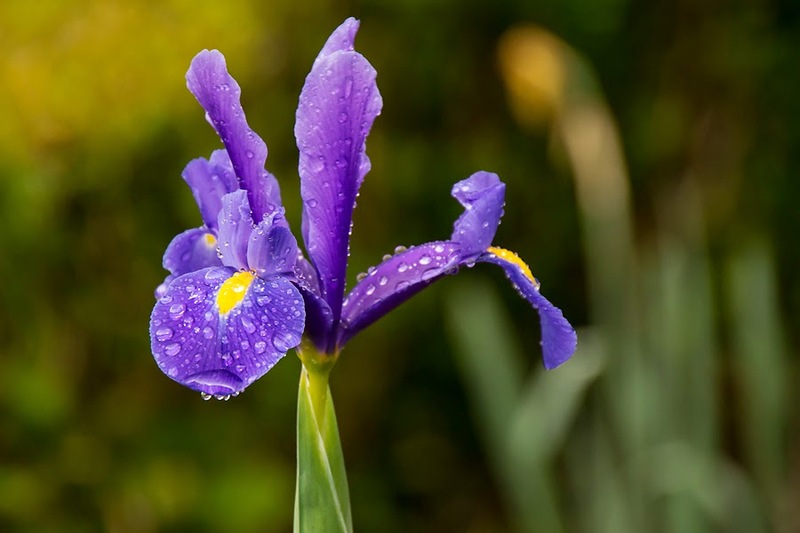 Love your flower images, a bit partial to the small bullish, purplish Iris . . .
Emails are so quickly read and dumped in the trash, yet when we get a real letter in the mail how that is treasured. Love that iris so much just one of my favorite, and the droplets of rain is so wonderful. I have the Lady Banks blooming in my back yard right now and one of my favorite colors, such a lovely little rose. As you know I don't like to write but I do like to get cards in the mail and I always send birthdays cards to my loved ones and the grands. There is a gift in the written word and it pasted me over or the school system I was in pasted me over. Such lovely photos my friend. It is really hard for us to get snail mail.. All our mail goes to my sisters house and when it starts to pile up she sends it general delivery to where ever we are. Life is pretty sweet out here on the road. I agree with you on the preciousness of handwritten notes and letters. I remember years ago when I lived in northwest Ohio, and I depended on letters from my mother to keep me up with what was going on in Virginia. These photos are so lovely! The drops of water on the first one (iris?) make it that much more beautiful. The iris is fantastic! I remember Ben Vereen having had a stroke. Am glad he's still entertaining! I might have known these beautiful flowers were from Charleston! Way too early in your neck of the woods. And, yes, I remember ... and like ... Ben Vereen. We are dating ourselves. We must stop this, Deanna! Deanna - at first I thought those blossoms were in your yard! (We had 15" of snow overnight, so I was momentarily jealous.) I still love getting snail mail - and I like that my Grandchildren still send thank you notes (thanks to their mamas, I'm sure!). Must catch up with your posts and photos - I know you've been on trips. I've been off-line for awhile. Take Care. Wonderful post. I agree getting cards, letters in the mail is always a pleasure. Did you ever see Kevin Costner's movie, The Postman? I think it really resonated how important mail is. Loved your photo's. I'm dying to know what that gorgeous yellow flower is. My grandmother and father were keepers of cards - they kept so many and revisited them in their later years. "You've got mail" was even more powerful to them and to Meg Ryan 20 years ago. Still, we are on the verge of sending out high school graduation announcements which thankfully still go by snail-mail because notice by e-mail or text just doesn't cover everything. And for that, I am grateful. Well, I had a comment in progress, but I don't know what happened to it! So, I'll just say that your flowers are beautiful. I especially love the iris with the water droplets on it. I miss handwritten letters too. I still send cards but my "letters" are now usually sent by email. 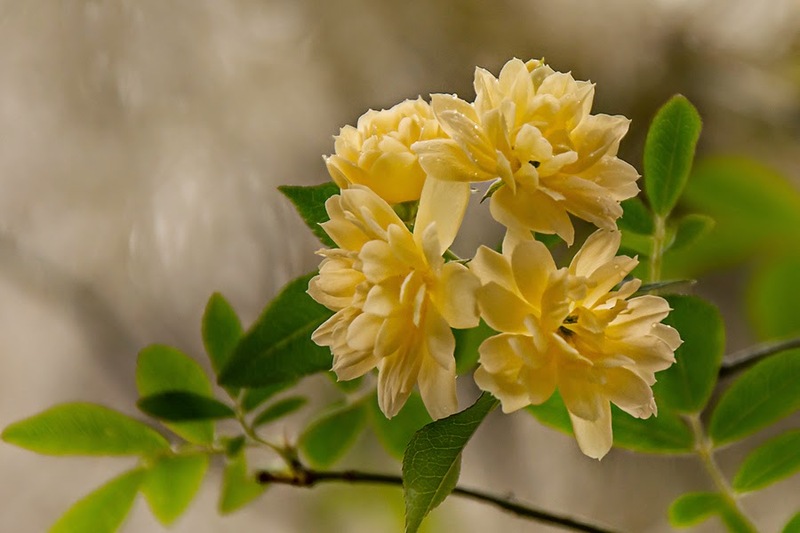 Beautiful flower photos! The iris is stunning! Those blooms are wonderful!! I too miss handwritten letters.